Built in 1883, the Waterloo Train Depot with its rich history still stands today. Rescued from demolition after having been retired from its original use and serving many years as the town of Waterloo's community center, this historical building is available again to house passengers awaiting their train. 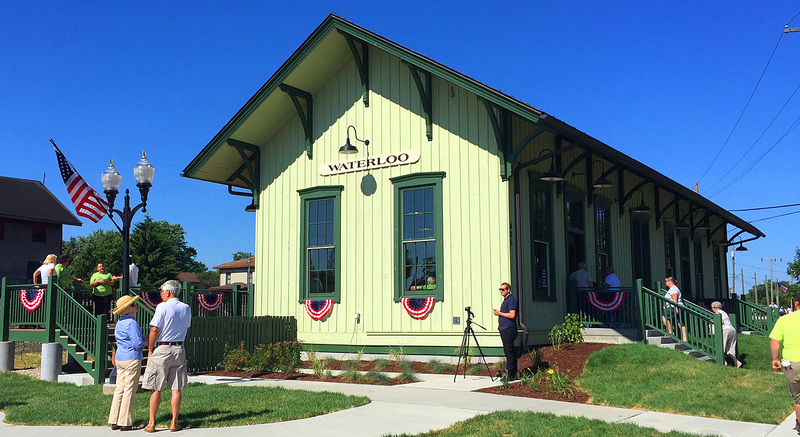 The depot includes a display of photographs and artifacts from Waterloo's railroading history and one of its original benches. It has an enclosed waiting area, accessible restrooms, a wheelchair lift, and dedicated parking of short term and long term spaces. Not only is the nostalgic depot a service area for Amtrak passengers and opened an hour before the arrival of each of the scheduled trains, but also is available for hosting community events, rental space and is open to the public on Saturdays from 11:00 a.m. to 2:00 p.m. seasonally.